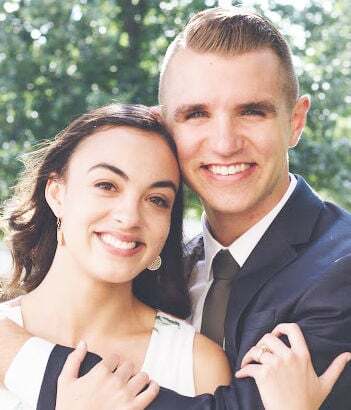 John and Jerrie Hanson of Sioux City, announce the engagement of their daughter, Caitlin ViAnn Hanson of Solon, Iowa, to Cory James Brannaman, also of Solon, the son of Dan and Denise Brannaman of Mt. Vernon, Iowa. The couple plan a June 8, 2019, wedding at Morningside Lutheran Church in Sioux City. A reception will follow at the Hilton Garden Inn. The bride elect is a graduate of Sioux City East High School in 2013. She graduated from Wartburg College in 2017. She is employed as a choral director at Liberty High School in North Liberty, Iowa. Her fiance graduated from Mt. Vernon High School in 2014 and from Wartburg College in 2018. He is employed as a commercial underwriter for United Fire Insurance in Cedar Rapids, Iowa.